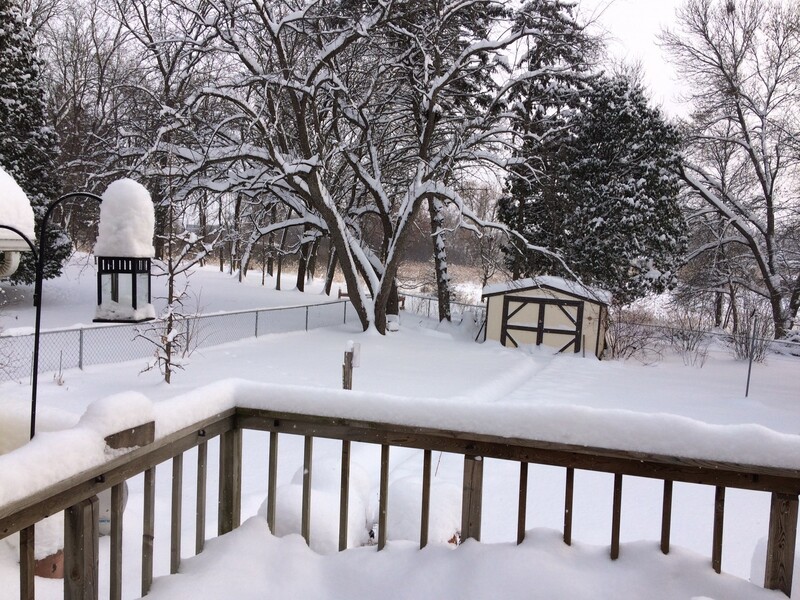 Snow blanketed southern Minnesota once again on Sunday February 10, 2019. Moderate snow developed ahead of a weak disturbance at the surface, associated with a surge of rising warm air aloft. Temperatures were in the 10s F across southern Minnesota, so the snow was light and fluffy, with widespread accumulations of 3-6 inches resulting from a quarter-inch of precipitation or less. The bulk of the snow was focused across southern Minnesota, south of St. Cloud, and centered along an axis extending from Willmar to the Twin Cities, and also along a shorter stretch of Highway 14 between Mankato and Rochester. As is often the case, however, Lake Superior and its surrounding terrain helped to induce bands of enhanced snowfall along the North Shore. Some of the higher accumulations reported to the National Weather Service in southern Minnesota included 6.5 inches in Cottage Grove, 5.9 inches officially at the Twin Cities International Airport, 5.3 inches at Prior Lake, and 4.5 inches at Waseca. In northeastern Minnesota, totals included 9.0 inches near Two Harbors, 8.2 inches in Silver Bay, and 6.5 inches at the Duluth office of the National Weather Service. The snow did fall on a Sunday, sparing the area of typical workday commute issues, but it was not without its own serious problems. State authorities reported just under 400 vehicle accidents, and also nearly 400 spinouts. At one point, a 17-car pile-up in Shoreview forced the closure of portions of I-694. This particular snowfall came amid a snowy period throughout Minnesota. From January 18th through the morning of February 11th, stations across the state have received 15-25 inches of snow, with pockets of even higher totals.